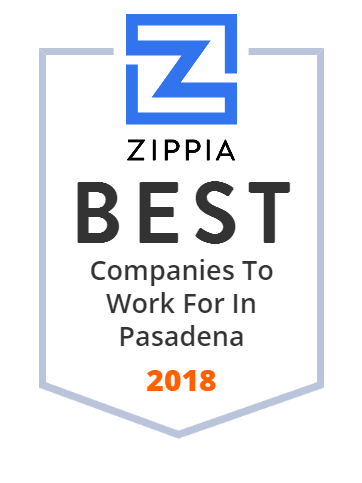 We hand-curated a list of the best companies to work for headquartered in and around Pasadena, TX using data on salaries, company financial health, and employee diversity. Pasadena Independent School District provides innovative educational opportunities, advanced programs and technology driven resources to prepare students for higher education and adaptable workplace environments. Founded in 1898, today it is a large urban district employing 7,650 employees and serving approximately 55,000 students in 65 schools. The district provides a menu of post secondary, technical and specialized opportunities to help students gain professional certification or a license in high-demand areas. FloWorks, established in 1974, is a leading specialty industrial supplier of pipe, valves, fittings and related products and a provider of technical solutions to the energy and industrial sectors. The company operates mainly in two bussiness segments: valves & automation (V&A) and pipe, fittings and flanges (PFF), and has 44 facilities in North America and three international facilities in Rotterdam, The Netherlands, Shanghai, China and Jubail, Saudi Arabia. Its family of companies consists of Southwest Stainless & Alloy; Sunbelt Supply Co.; Major Inc.; J&J Alloys; J&J Bar Plus. KIORO'design is a design and 3D printing company that was founded by two Italians aerospace designers - Giovanna Varchetta and Ciro Esposito. The company creates jewelry and interior products by applying 3D printing technologies. Most of its designs are taken from the aerospace industry, also nature and the marine world. Clients also have the possibility to design their own personal project and create custom 3d printing jewelry. Apache Services provides construction services such as metal building repairs and installation, interior build out and concrete repairs for clients in the chemical manufacturing, refining, food processing, mining, general manufacturing, oilfield service, power, and technology sectors. The company was formed in 1990 and is headquartered in Pasadena, TX. Meador Staffing has been matching quality candidates with potential employees since 1968. The company specializes in temporary staffing, contract staffing, direct hire placement, and professional recruiting. Its mission is to help job seekers and client organizations reach their objectives by identifying and uniting teams of talented and inspirational individuals and match them with the best employers. The company's corporate headquarters are in Pasadena, TX, with additional locations in Webster, Deer Park, Pearland, and The Woodlands. Established in 1978, Du-West covers house leveling, underslab plumbing, home and commercial foundation repair, AC/Heating repair, maintenance, and installation, and irrigation/watering systems in Houston, Dallas, San Antonio, Corpus Christi, Austin, Victoria, and surrounding areas. Its professionals aim to provide the best possible repair solutions to Texans. The company continues to grow and provide trustworthy repair services. Industrial Solutions, Inc. is an insulation, scaffold, coatings, and general labor company that provides a variety of specialty services such as piping, erection and dismantling for industrial and commercial needs, blasting, janitorial, lawn maintenance, etc. Its clients mostly come from the petrochemical, power and utilities, refining, pulp and paper, commercial, and marine industries. Industrial Solutions aims to satisfy all of its clients' specialty contractor needs. Modern Plumbing Company Inc. is a family owned and operated company that provides an array of plumbing services that include drain & sewer cleaning, faucet repair & replacement, natural gas testing & repair, water heater service & installation, and other services. The company provides 24 hour, 7 day a week emergency service and ensure that clients get the plumbing services they need. Modern Plumbing continues to add more service trucks, acquire more property, and build add-ons to its buildings to meet the growing demands of customers. James Plumbing, founded in 1946, is a second-generation, family-owned and -operated plumbing service company serving the Pasadena area in Texas. Its professionals are available 24/7 and are always ready to provide prompt services whenever clients have a plumbing problem. Clients rely on James Plumbing when it comes to water leaks, shower pan repair, full bath remodeling, copper pipe repair, water distribution systems, and much more.